Shelby Ransdell has a bachelor’s degree in Exercise Science from Eastern Kentucky University with an emphasis in physiology. Along with her knowledge of fitness she focuses on strength and core stability in order to perform activities of daily living. 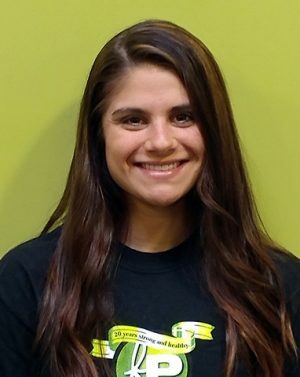 Shelby enjoys working with all types of clients; however, she specializes in muscular strength and endurance while promoting balance and posture. Shelby enjoys educating clients about the importance of health and wellness and the positive effects that come along with it, both mentally and physically. She stays updated with the latest fitness trends and likes to change up workout routines weekly in order to achieve greater results. She currently participates in fitness competitions and played soccer in college which is where her passion for fitness began. Since becoming a personal trainer, Shelby has taught group fitness classes such as PF 360 circuit training, boot camps and core strengthening exercise classes.